Support for printing flexible filaments. 1 year warranty period, there are any questions, feel free to contact us, we will help solve. 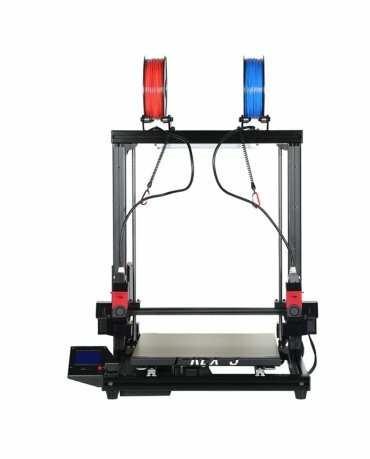 Compared with other i3 printers, the difference is ，Double Z motors to make the printer structure stable and can printing with a high speed. ensure to get a high precision printing result. Customer feedback proof that this feature is printed more beautifully, flawless. ​12v ,240W , Big power supply ,The hot bed can be heated to higher temperatures. Lead Time: 4 to 7 business days. Note: It is complete kit, includes of all parts for assembling and printing. Power supply will be shipped based on the customer location.